So, it has begun. I'm redecorating Ethan's room. I must be crazy since I haven't even finished the nursery, or any room completely in my house yet! 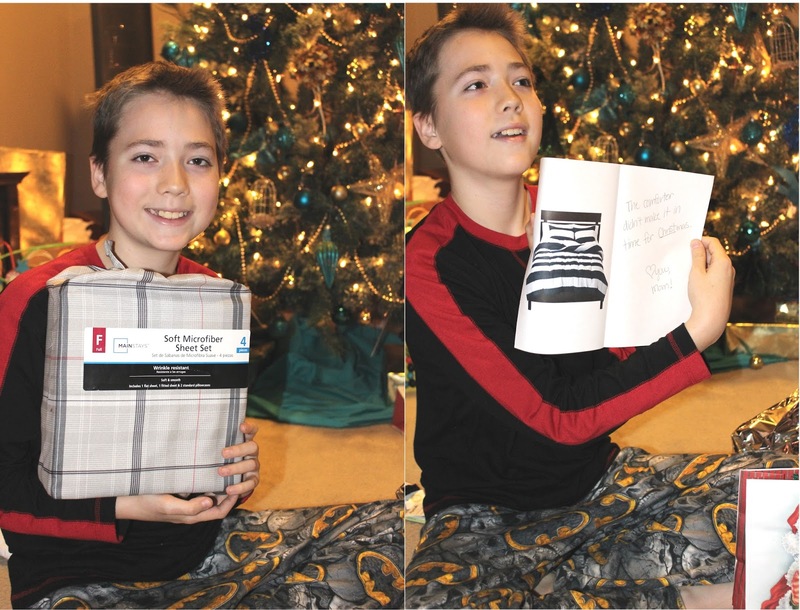 But, what a great Christmas present! 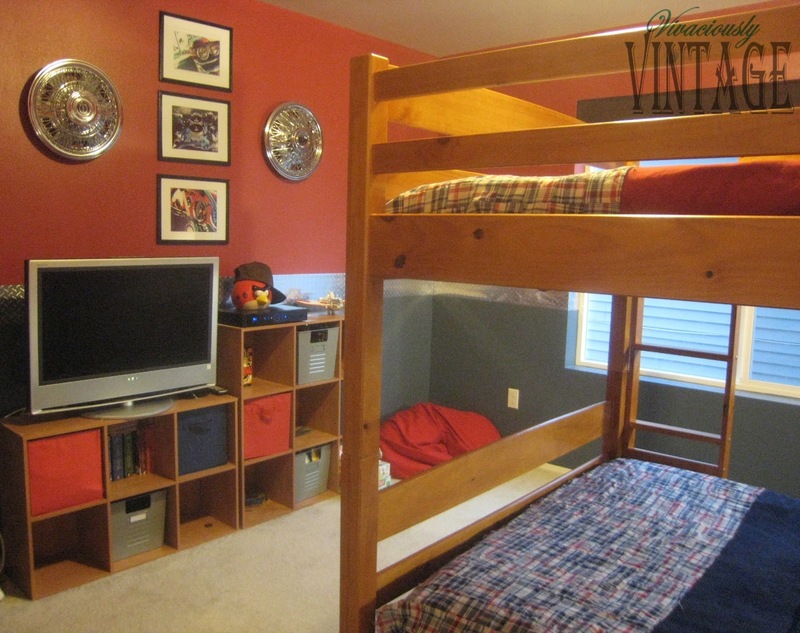 He's 12 now, and is "over" the car themed room. 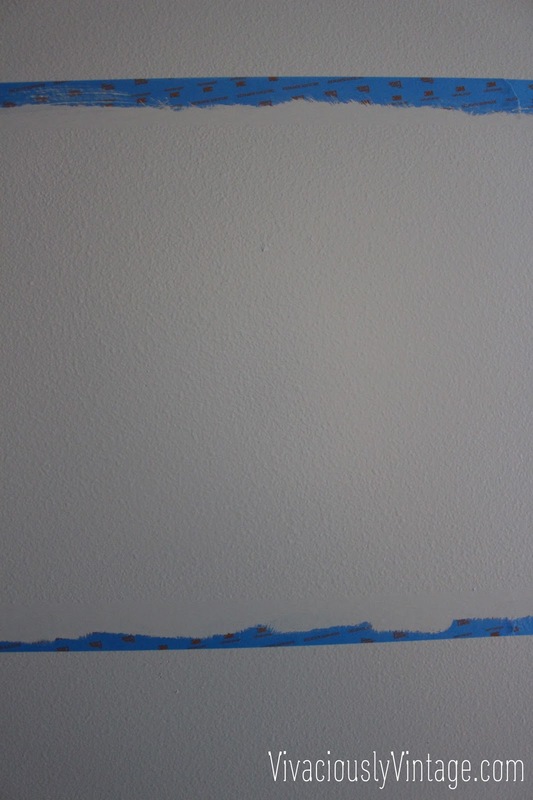 It had a long run, but the silver detailing tape had begun to come off of the walls in a few places. Though he admits he's not that into watching football, he loves the Seattle Seahawks. It's probably because they get so much hype around here, and all of his friends grew up watching and loving the team. 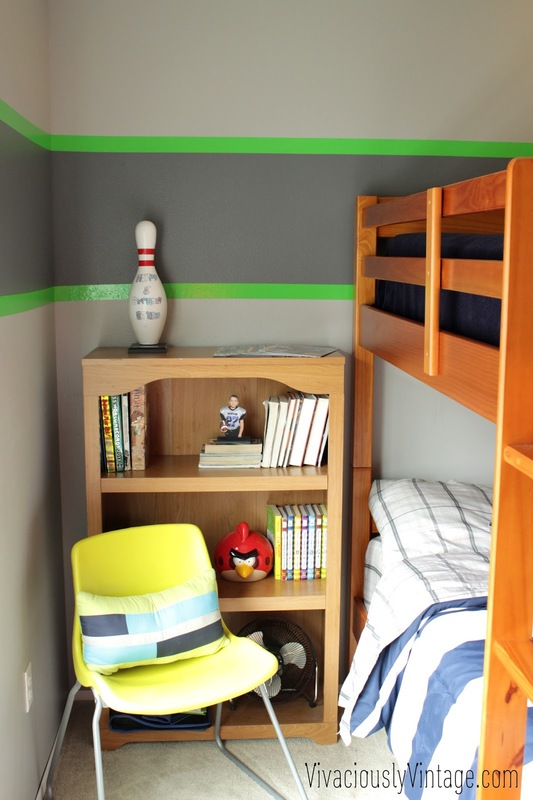 Behold, a Seattle Seahawks bedroom in the making! 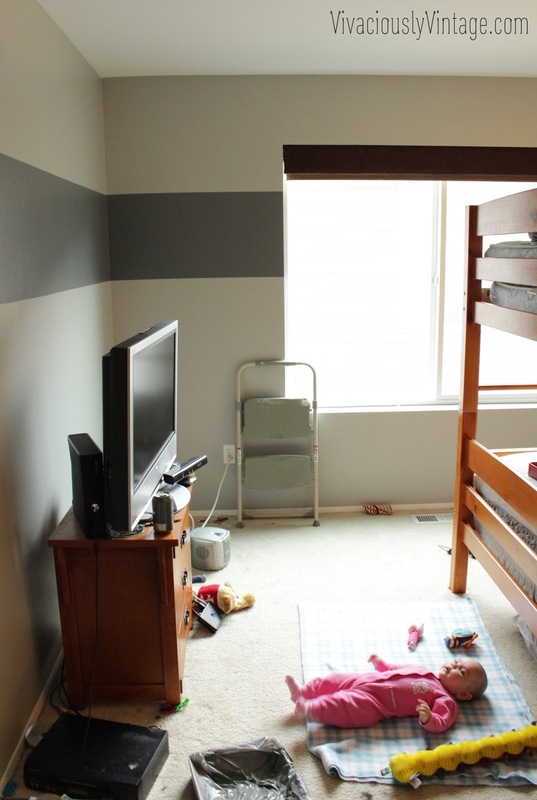 We painted his ceiling white (everything in our home was just sprayed this neutral yellowish tint), the walls grey, and added a charcoal stripe! 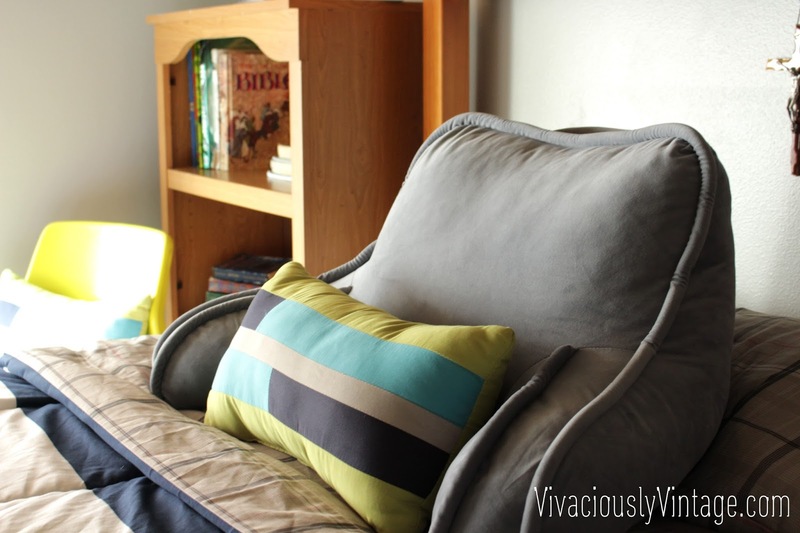 See my tutorial on how to paint perfect stripes! Here it is all painted and taped up with the base color to seal the tape! 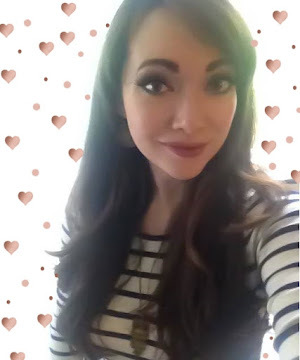 Mmmm that charcoal stripe and a helpful baby painter!! 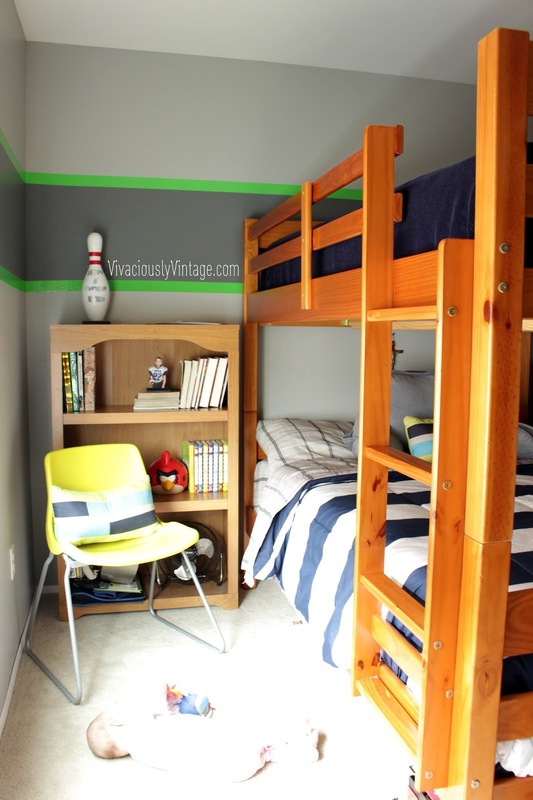 I refused to go through all of the extra labor of painting two thin Seahawks green stripes on his walls. Not to mention, I refused to commit to such a crazy color!!! The solution? 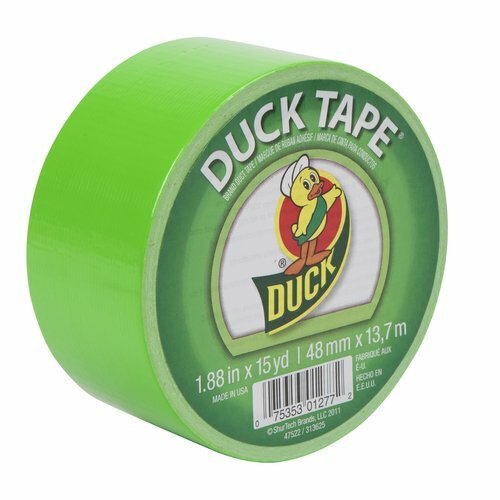 Neon green duck tape! I love this idea! The speed, the ease, the lack of commitment! Not only did slapping duck tape on the wall save me a HUGE amount of time, it also allows me to pull it off when if he changes his mind. Not to mention the sales perspective. We'll be here another 4 years, but after that we will likely sell. The new owners can just pull the tape off if they are not local crazy Seahawks fans! Boom, classic neutral grey room. 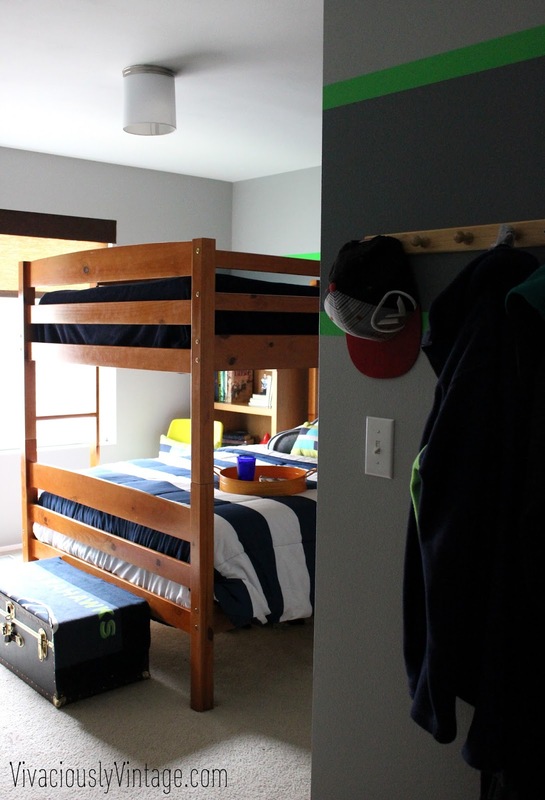 We are also nixing the bunk beds. He wants them gone, I want them gone. Look how they totally encompass the room (they are full over full sized)! I guess he just outgrew them. 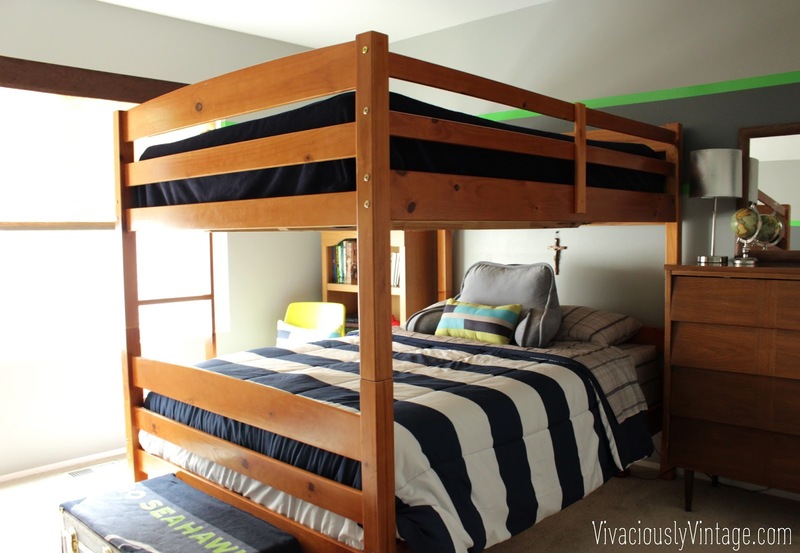 I knew when we got them this day would come, but in my Mommy heart I couldn't deny his want for bunk beds! I always wanted them as a kid; so, I guess I was living vicariously through him! I'm waiting to get his new bed until these sell. 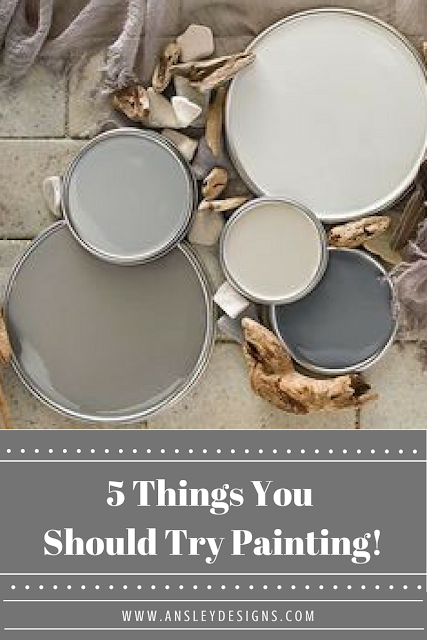 It'll either be something very simple or a DIY! Look at that camouflaged baby in the picture! She's such a sweet, rollie thing! So, there you have it. 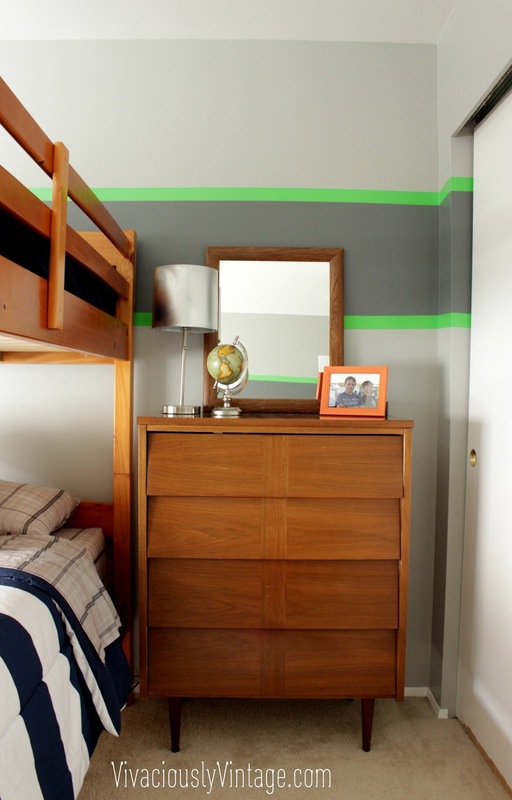 A new year, a new bedroom plan for my tween boy! What are your crazy plans for the new year?